New Job, New Culture, New World! I’m not a stranger to roads less travelled, but I’ve recently entered a place that’s forcing me to chart new territory. Last week, I began teaching (observing, really — I won’t teach for a couple weeks) in a place where I’m a minority, a place where the vocabulary, and the etiquette — even the position of chairs in a room — are all intensely new. 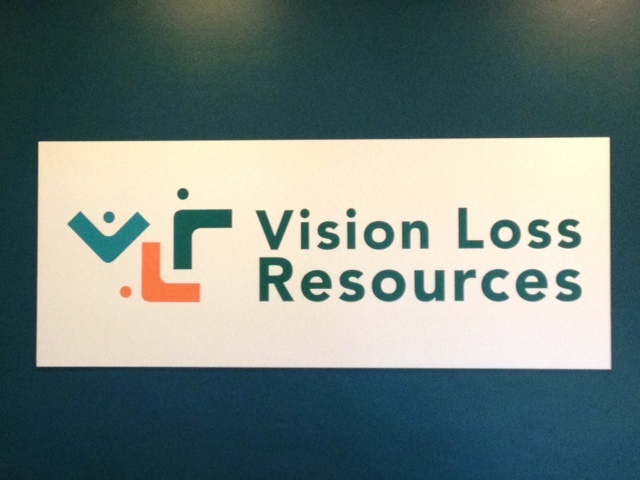 Vision Loss Resources, Lyndale Ave, Mpls, is full of chances to see things differently. 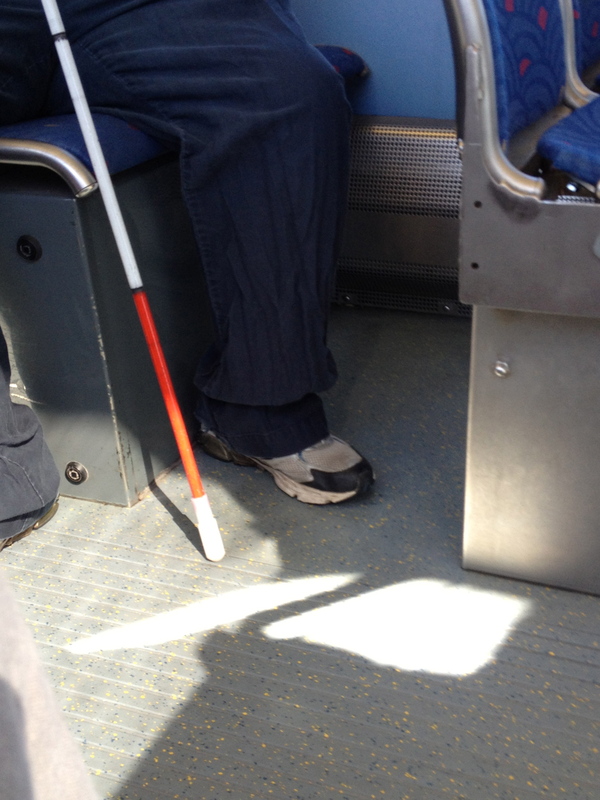 Yesterday, I accompanied an Orientation & Mobility i.e. white cane, Instructor, as she worked with a client. She used words like “shorelining,” and “feeling for the bubbles [underfoot]”. 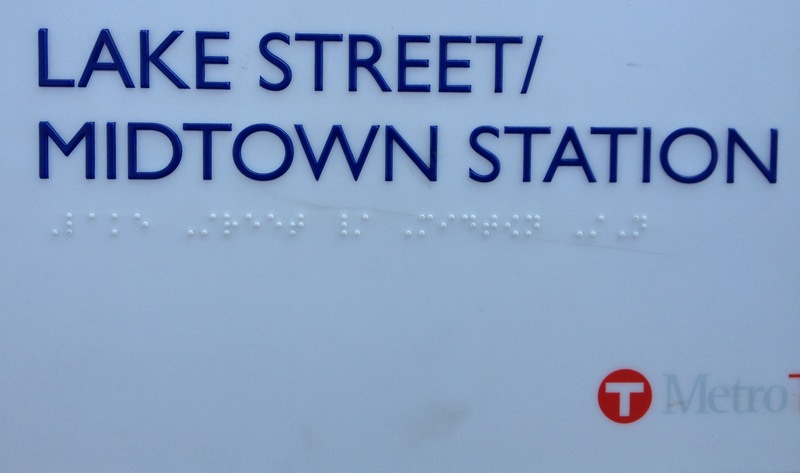 Heading to and from Target, we crossed streets, went up and down escalators, and rode both bus and light rail. Clients at VLR start with the Braille alphabet and punctuation, then move to the next level, where they learn to read whole words. 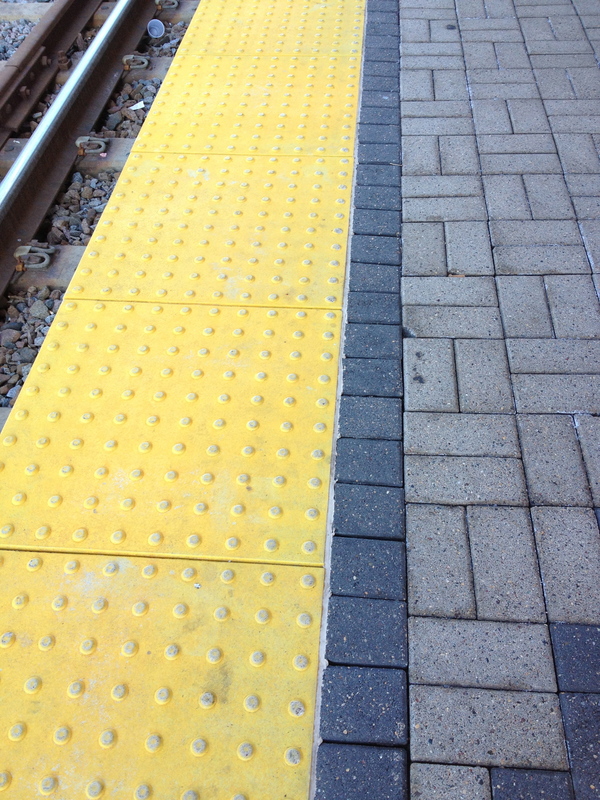 Our client yesterday doesn’t yet know enough Braille to read this directional sign. Instead, he listened for the oncoming train, and once he realized others were on the platform, asked them if this were the Midtown train. The instructor and I sat 10 rows back, so that, as she explained, “People will assume he’s alone.” The he is middle-aged man, blind from birth, who has been so dependent, for so many years, that he’ll probably never live outside a group home. Yet, from what I can tell, nobody at VLR — from the CEO to the newest client — ever says never. My colleagues, who all seem to know I am sighted, treat me, nevertheless, with respect: I do not have a guide dog, and I can see paperclips and jump drives; at the computer, I have to use a mouse, rather than directional arrows or JAWS to locate desktop files and open folders. Yet, they don’t hold this against me. In fact, they are, fortunately for me, Bodisattva-like, in their compassion. 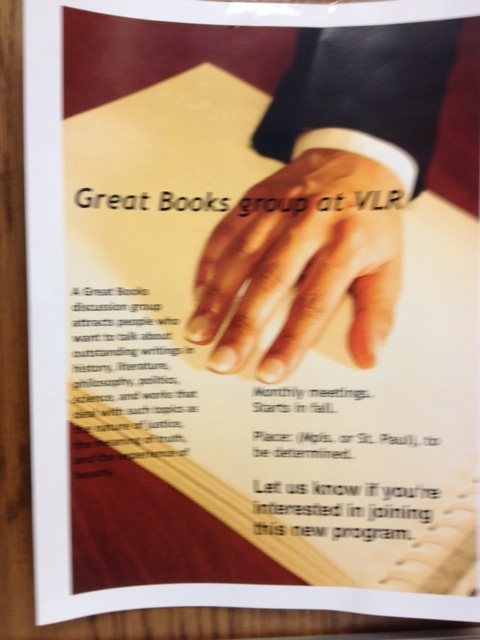 As the newest Newbie, I probably notice things that others take for granted.Today, as I walked through the lobby, I saw this poster for a Great Books Discussion Group. For a split second, I was bemused by the hand, until I remembered I wasn’t at TGHS. Long story short: I hope my colleagues have as much empathy for ME as they do for our incredible clients. So far, so good.